You'd think after my nightmare of an experience at the long gone Crawfish King in Richmond would scare me off of anything remotely close in the future. Well, you would be wrong because either I have a short memory or I am a glutton for punishment. 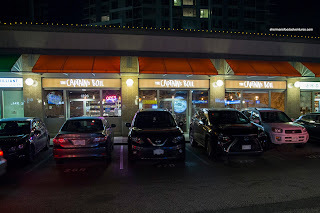 While I was gone on my vacay this past Summer, the Captain's Boil opened their first BC location in Richmond. 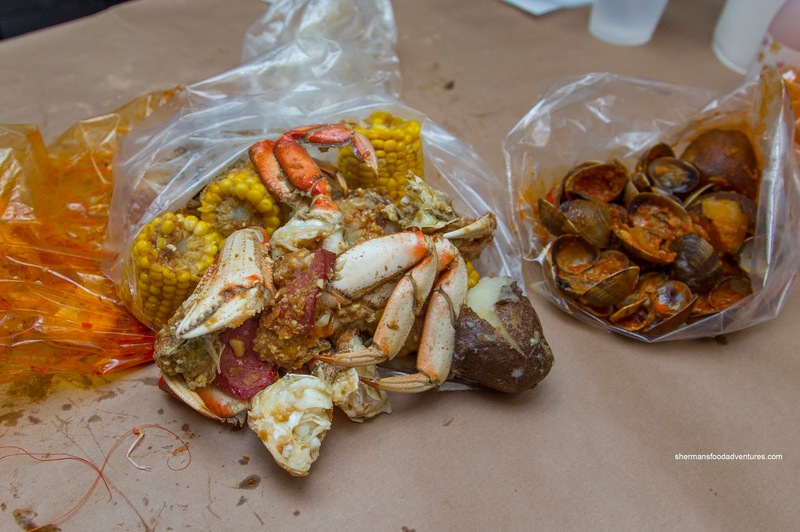 Similar to the Boiling Crab in the States, the place offers up seafood prepared in plastic bags with your choice of sauce and accompaniments. Grace and I checked it out after what seemed to be an eternity of planning to go. Was it cold feet? Not really because we were greeted warmly and seated promptly. Furthermore, our food came out fairly quickly. Yes, the demons of Crawfish King were exorcised! 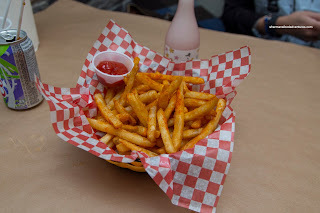 For me, I wanted to try the Cajun Fries (despite some resistance from Grace). Turned out it was a good call since they were hot, crunchy and nicely spiced. There was still a good amount of potato texture remaining. For our seafood, the first item to arrive was 1 lb. of Shrimp in Lemon Pepper Sauce. 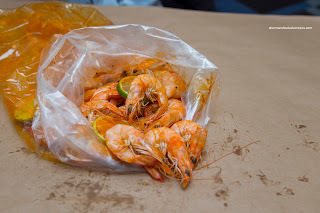 We found the white shrimp to be meaty with a slight snap and a good amount of natural sweetness (decent for frozen). The lemon pepper sauce was pretty mild with only a slight kick and background acidity. To kick things up a bit, we got the 1 lb. of Clams in the Captain's Boil Sauce (that combined all of the available options) in medium spice. This was a bit greasy, yet had more impact due to the spice and garlickiness. We felt it went well with the robust clam meat. 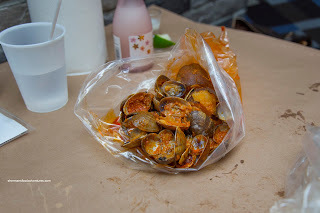 Once again, the clams were prepared properly being buttery with only a slight chew. They were sweet and fresh. 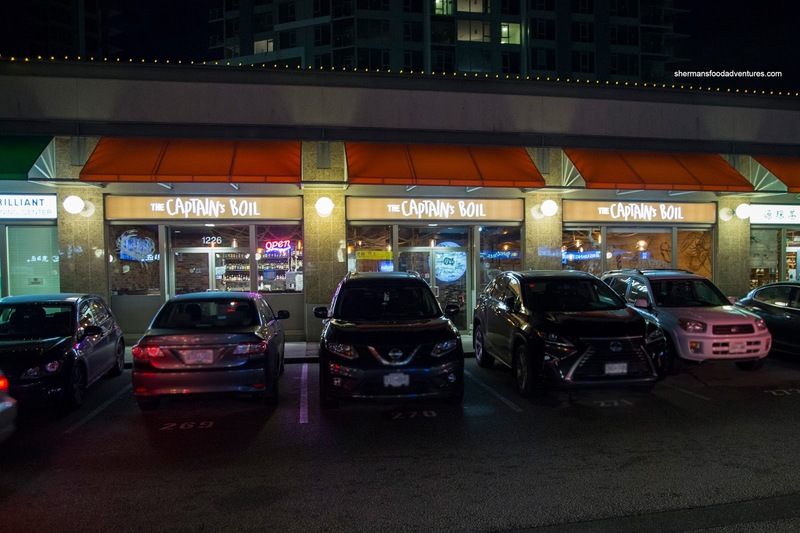 We ended things off on a high note with the Whole Dungeness Crab in Garlic Sauce. We added corn, potatoes and sausages for good measure. The meaty crab was just right being fluffy and sweet. The ample garlic kept things tasty without overwhelming the delicate crab. We thought the sausages were a bit too soft for our liking though. But in general, the seafood was prepared properly and I think we chose the right sauces for each.